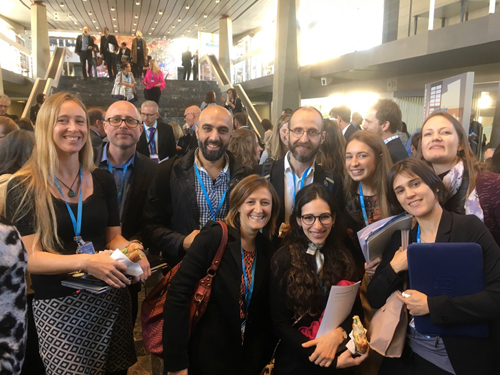 More than 200 professionals, experts, government and civil society representatives from around the world gathered in Geneva to take part in the mhGAP forum, WHO’s annual partnership event on mental health. 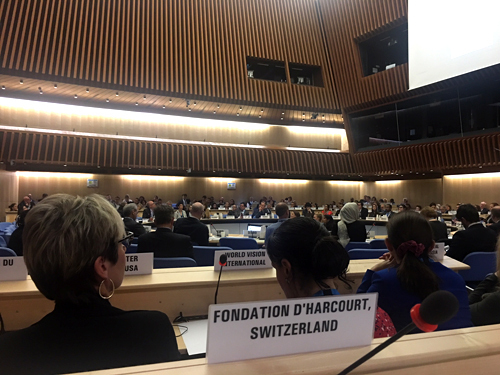 This year, the forum’s theme was mental health capacity building within countries as part of the implementation of the WHO Mental Action Plan 2013-2020. 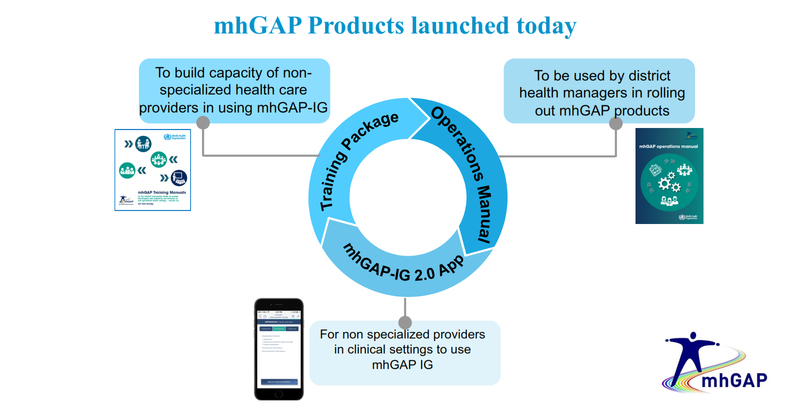 The plenary session marked the launch of the mhGAP IG 2.0 Mobile App. mhGAP is a tool designed for non-specialized health care providers to manage mental, neurological and substance use disorders such as depression which has been used to scale up mental health services in over 90 countries worldwide. e-mhGAP was born out of the ever-increasing access to internet and the need to innovate the decision support system and further spread the implementation of mhGAP strategies by making them more accessible. At Fondation d’Harcourt we strongly believe in the importance of scaling up mental health services, which is why we collaborated with the WHO in the implementation of the mhGAP pilot in Ethiopia from 2010 to 2013. mhGAP enables a comprehensive response, especially in places where there is a weak peripheral care system and a lack of resources. To document the effectivness of such a program, Julian Eaton, CBM Global Mental Health Advisor and Rabih El Chammay, Ministry of Public Health Lebanon, shared their experiences on the implementation of mhGAP in poor and middle-income countries. The Forum was also an occasion to talk about the different work that is being carried out by WHO’s mental health department. Mark Van Ommeren introduced some of the self-help interventions promoted by WHO and its partners. Self-help interventions are a valid resource due to the great need for innovative and low cost-solutions. They also represent the first step within a stepped care approach and have been proven to be highly effective, especially when guided. One of those intervention is Step-by-Step intervention : a pilot that Fondation d’Harcourt is supporting in Lebanon. We were excited to see that the project we have been part of is taking shape and is reaching its objectives. In a different panel, Michelle Funk (WHO), gave an insightful presentation of the QualityRights training and guidance tools. WHO QualityRights’ purpose is to improve the quality and human rights conditions in mental health and social care facilities and empower organization to advocate for the rights of people with mental and psychosocial disabilities. At the beginning of 2017, 15 key training and guidance materials were published to help build capacity among stakeholders and change attitudes and practices in services and communities. Fondation d’Harcourt participated in the testing of an e-version of said training. We encourage everyone interested in changing the way we see people with mental illness to take part in this global initiative. A side event was specifically organized to celebrate World Mental Health Day, this year dedicated to mental health in the workplace. Creating and keeping a healthy workplace environment is essential for the health, safety and well-being of all employees. The Bank of England presented a touching video to reduce the stigma surrounding mental health. We are pleased to have attended this inspiring forum where we met truly committed organizations and individuals that are willing to work hard to make a difference in mental health and we look forward to next year’s mhGAP forum.